Yes, you heard correctly, sweet and gooey marshmallow creme without using egg whites. The secret ingredient to this deliciously spreadable confection is Versawhip 600K™, which is a modified form of soy protein. Versawhip 600K™ will need to be purchased through the internet and I recommend ModernistPantry.com as the source from which to order. A stand mixer is REQUIRED for this recipe. The technique involves whipping molten hot sugar syrup, so do not attempt with a hand-held mixer or splattering can occur which can result in severe burns. Food processors, stand blenders or immersion blenders are not recommended for this recipe either as they will not work properly. So please don’t try it. It is also recommended that the stand mixer be equipped with a splatter shield to prevent the sticky marshmallow mixture from splattering out of the mixing bowl. You will also need a candy thermometer to determine when the molten sugar syrup has reached the proper temperature. 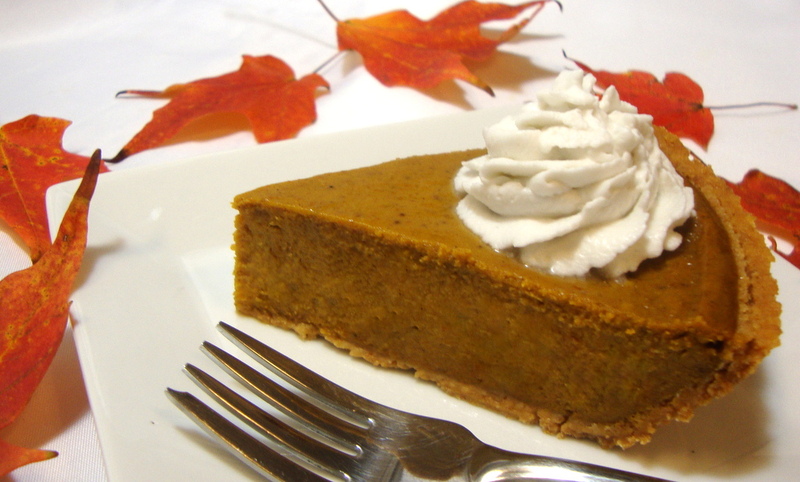 Light corn syrup is also required for this recipe and due to the concern about GMO products, a non-GMO light corn syrup is available by searching on the internet. This recipe yields about 4 cups. Attach a candy thermometer to the side of a small saucepan. Be sure the base of the thermometer rests just above the bottom of the pan without touching the metal. Add the water, corn syrup and then the sugar into the center of the mixture. Swirl gently and place over medium-high heat. Do not stir while the sugar mixture is heating. The mixture will need to be boiled and brought to the “soft-ball candy” stage or 240°F. This will take several minutes. While the sugar syrup is boiling, add the water to the bottom of the mixer’s bowl. Sprinkle in the Versawhip 600K™ and the guar gum or xanthan gum. Reserve the vanilla extract for later. Turn on the mixer and increase the speed to the highest setting. The mixture will whip into a voluminous white foam. When the sugar syrup has reached 240°F, remove the saucepan from the heat and with the mixer running at high speed, pour the molten sugar syrup into the foam. Set a timer for 10 minutes while whipping at high speed. While the mixture is whipping, add the vanilla extract. That’s all that is necessary to make marshmallow creme. 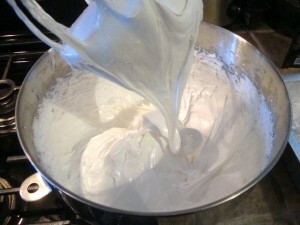 Transfer the marshmallow creme to a container with a lid and refrigerate until ready to serve. Kids will love this and your “inner child” will love it too. This recipe yields 4 cups or 1 quart of the finest chocolate cashew milk or hot cocoa. Chocolate cashew milk has a brief refrigerator storage life, so consume within 3 to 4 days (this has never been an issue in my home). Shake or stir well before serving. For hot cocoa, gently heat in a saucepan on the stove – do not boil! Cashew milk makes a wonderful base for hot cocoa because it has a tendency to thicken slightly when heated. 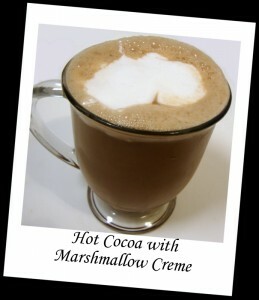 Top the hot cocoa with Marshmallow Creme (recipe in this blog) or Heavenly Whipped Cream (from my cookbooks) if desired. You will also need a high-powered blender and a nut milk bag or fine mesh strainer lined with 4 layers of cheesecloth to strain any residual solids from the milk. Soak the nuts for a minimum of 8 hours in the refrigerator with enough water to cover. Drain the nuts, discarding the soaking water. Add the nuts to a high-powered blender with 4 cups of fresh water. Process the mixture on high speed for 2 full minutes. The milk will now need to be strained to remove the solids. To do this, wash your hands thoroughly and then pour the milk into the nut milk bag over a large bowl or pitcher. While holding the top of the bag with one hand, gently knead and squeeze the bag to help the milk pass through the ultra-fine mesh. Optionally, the milk can be poured (in increments) into a strainer lined with 4 layers of cheesecloth. Stir the milk gently with a spoon to help it pass through the cheesecloth. Pour the strained milk back into the blender and discard or compost the solids in the bag or cheesecloth. Add the sugar, cocoa powder, vanilla and salt to the blender and process until smooth. Store the milk in a covered container in the refrigerator until ready to serve or heat on the stove. Chocolate cashew milk has a tendency to separate, so shake well or stir before using. Soak the cashews in water for a minimum of 8 hours. Drain and discard the water and add the cashews to a high-powered blender. A the 3 cups of fresh water and process on high speed for a full 2 minutes. Add the cashew cream back to the blender with the remaining ingredients and process until smooth. Transfer the mixture to a saucepan and cook over medium heat, stirring constantly until the mixture thickens and is heated through. Do not boil. Remove from the heat and let cool until warm (stir occasionally to prevent a “skin” from forming on the surface). Pass the mixture through a strainer into a container with a lid and refrigerate until thoroughly chilled. 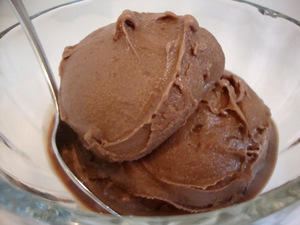 Process the mixture according to your ice cream maker’s instructions. The ice cream will freeze hard when stored in the freezer. To serve, simply thaw briefly until it reaches the desired texture for scooping. 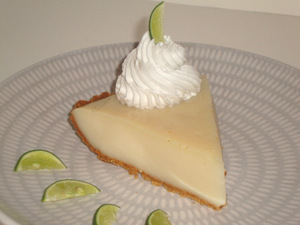 A graham cracker pie shell is filled with a citrusy and refreshing key lime curd. The pie can be topped with Heavenly Whipped Cream (from either of my cookbooks) if desired, as the light coconut flavor pairs nicely with the tanginess of the lime; or simply garnish with additional lime wedges or zest. Preheat the oven to 375°F. Bake the pie shell for 12 minutes. Remove and set aside to cool. In a blender, process the pie filling ingredients until smooth. Pour the blender contents into a large saucepan and cook over medium heat, stirring frequently with a rubber or silicone spatula and scraping the sides of the saucepan as you stir. The mixture will be foamy and milky in appearance. Stir constantly as the mixture begins to thicken. Keep stirring until the mixture begins to bubble and the milky and foamy appearance transforms into a thick and gelatinous lime curd. Pour the filling into the pie crust, smooth the top gently with a rubber/silicone spatula or the back of a spoon and place in the refrigerator uncovered for 2 hours until the top of the pie is firmly set. After 2 hours, cover with plastic wrap. Garnish with Heavenly Whipped Cream or a commercial vegan whipped topping and lime wedges or zest, if desired, before serving.